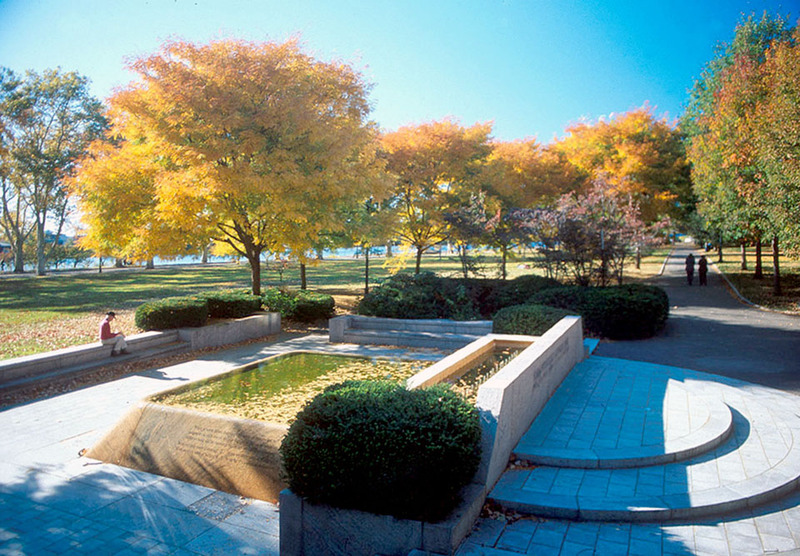 Located on the Charles River near Harvard Square, the John Fitzgerald Kennedy Memorial Park occupies a prime location in the City of Cambridge. 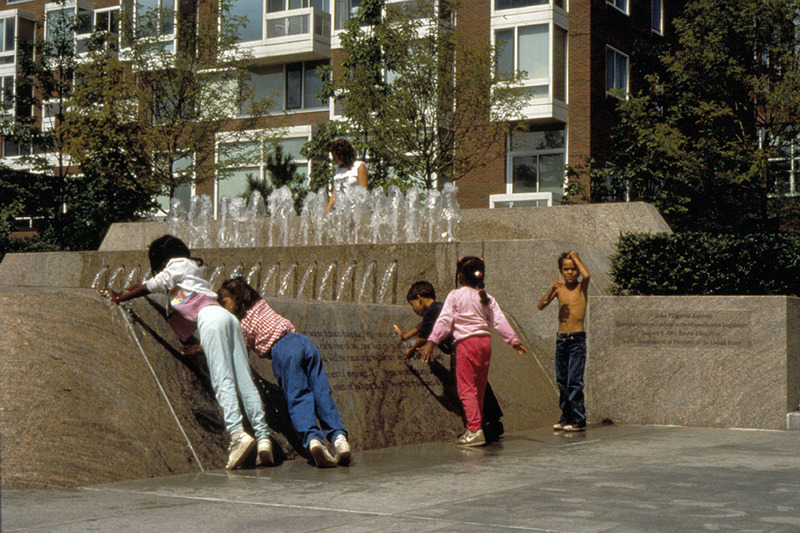 Selected by the Metropolitan District Commission as the park’s designer, CRJA-IBI Group worked closely with the MDC, members of the Kennedy family, and neighboring land owners to establish the best possible design solution. 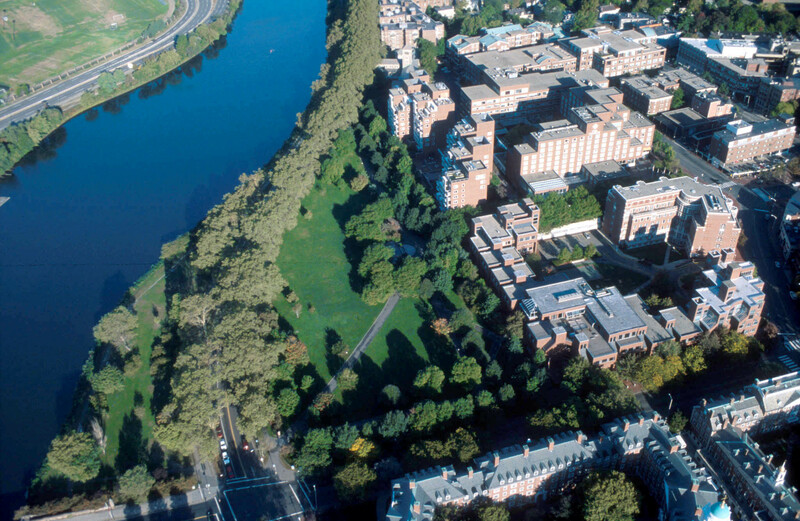 Complex site issues such as oil-contaminated soils and drainage problems required sophisticated technical solutions. 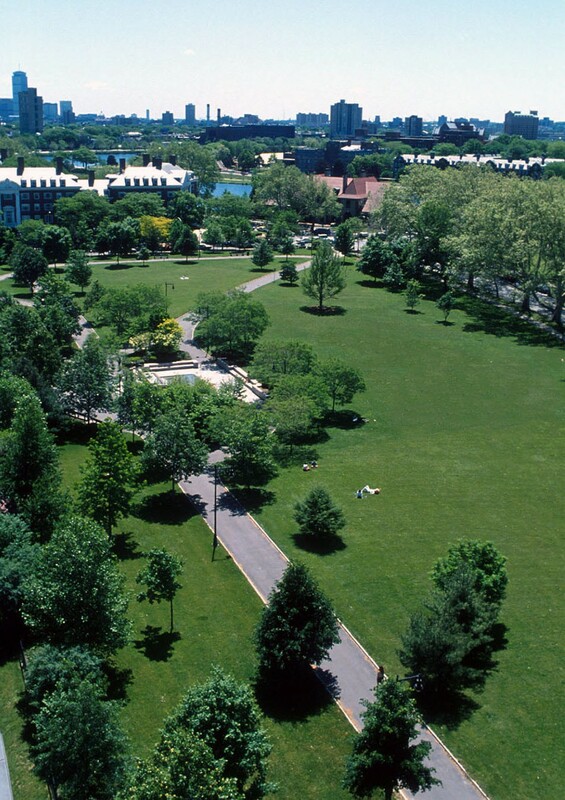 The finished design emphasizes the park’s relationship to the Charles River Reservation. 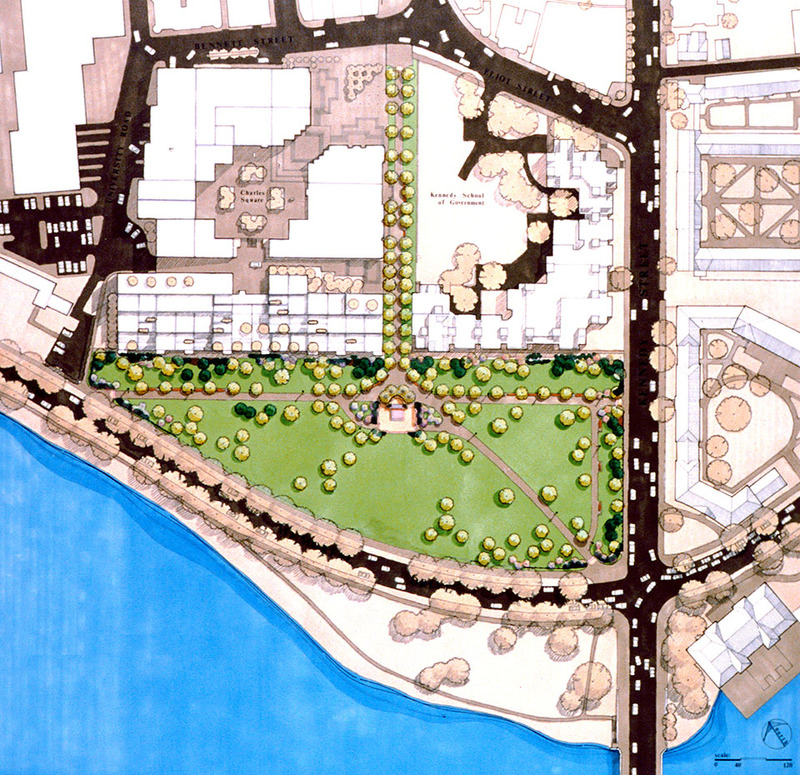 A series of gateways, steel picket fences, and plantings create a soft green space for informal recreation. 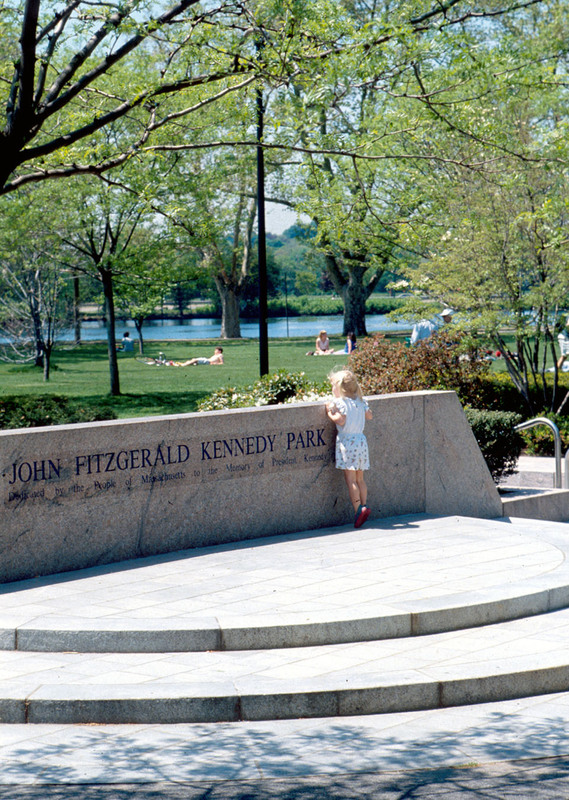 At each gateway, portals display excerpts from JFK’s speeches. 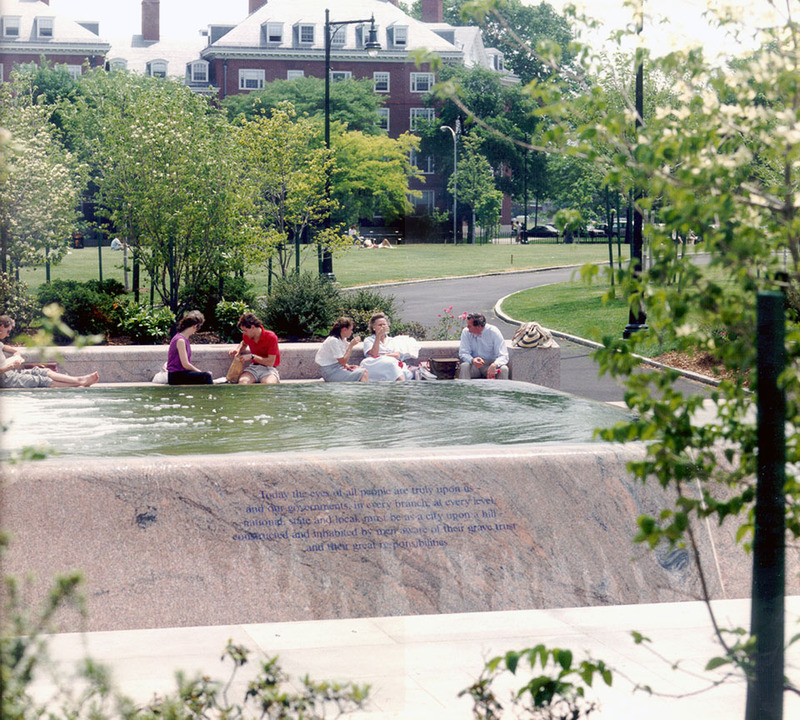 The focus of the park is a fountain memorial to President Kennedy, located on axis with a pedestrian link to Harvard University, of which the President was an alumnus.